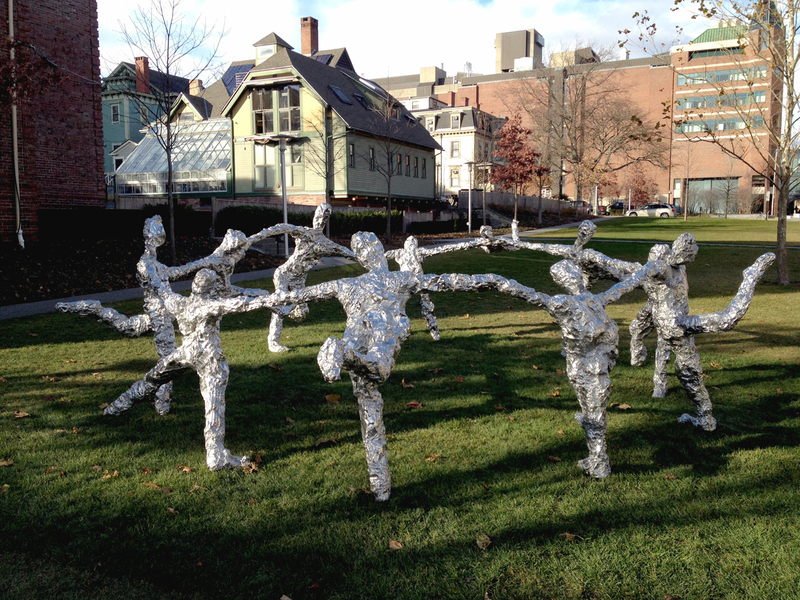 On December 5, 2012, artist Tom Friedman delivered a lecture at Brown University’s Granoff Center for the Creative Arts, marking the launch of the installation of his sculpture “Circle Dance” on the university’s campus. A gift from an anonymous donor, the work activates “The Walk” a new development within the university’s campus redesign. The sculpture has already attracted substantial student interaction and engagement. 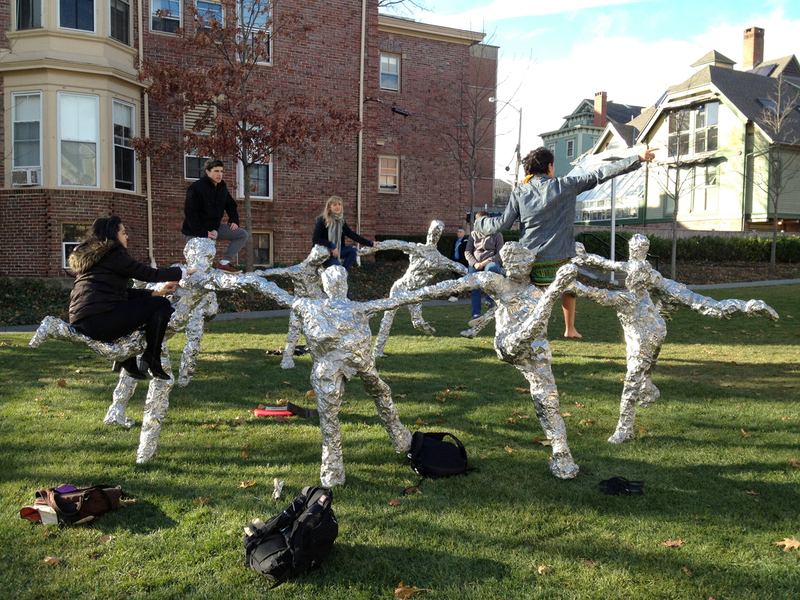 For example, a group of modern dance students (seen below) in Prof. Julie Standberg’s course are composing their final project performance around the sculpture.